BE Event Hire offer a wide range of chair hire for all types of events, from weddings, exhibitions, conferences, festivals both indoor and outdoor. We can supply as little as one extra chair to 30,000 folding chairs for a concert, delivered 7 days a week nationwide. **Seating guide for chair numbers around table sizes at bottom of guide. BE Event Hire stocks and supplies both aluminium and steel framed banqueting chairs (premium & budget) in an array of standard colours ready for hire. Banqueting chairs are suitable for exhibitions, weddings, conferences, shows, just about any indoor event where you want to provide a higher level of comfort to your guest. ISO Conference chair with a black padded seat and back. Folding chairs available in tubular light weight, ideal for large scale venue seating, wooden and resin chairs, metal bistro folding chairs. We have a number of wooden chairs that have a traditional feel to them and can add a rustic feel to a wedding or event. 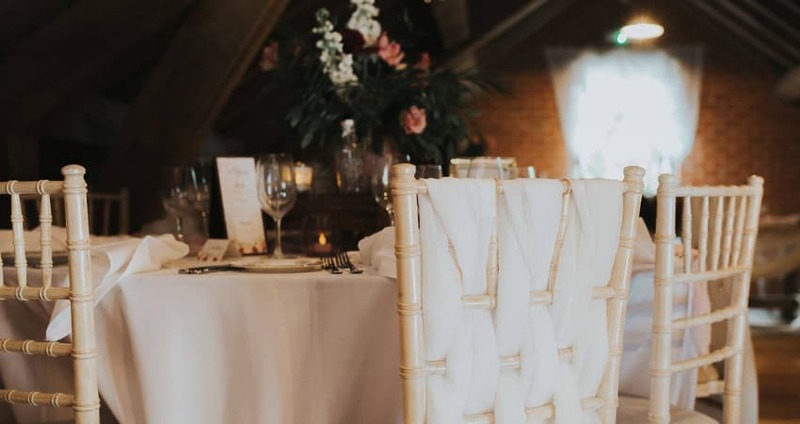 BE Event Hire offers a selection of Chiavari chairs to hire ranging from limewash, crystal resin, gold and silver Chiavari chairs. BE Furniture Sales takes pride in our extensive range of bistro chairs. Bar stools are used extensively for on sets of TV game shows as well exhibition stands and also parties where space is at a premium. Our bench seating and picnic benches are suitable for both Indoor and Outdoor use. Quick reference guide to table sizes, seating configurations and tablecloth sizing recommendations. The amount of seating around a table will depend on the table layout. You can also substitute a 70″ x 108″ tablecloth for two 90″ x 90″ tablecloths. If you are unsure of the amount or sizes of tablecloths required for your table layout, please do speak to us. BE Event hire offer a huge selection of tables and chairs to hire for every occasion. We can supply as little or as much as you need, Midlands based and deliver UK-wide 7 days a week.